Does this work with the Appearance Pack and DLC outfits? Can all four of Ashley's outfits be used with this fix? Can you clarify what this mod does? Does it make her stronger or weaker than the vanilla? If it makes her weaker i dont want it. This mod fixes the bug in which Ashley keeps activating her ability endlessly. Technical explanation of the bug: upon activation she stands stock still and is constantly activating Marksman (the activation sound keeps going off and her omni-tool lights up). Sometimes she can get stuck, both in the open and in cover, which makes her not very useful as squadmate. Workarounds are: don't spend points in Marksman, disable squad member power use. It wasn't originally bugged, Bioware broke it after Patch 1.04. I must be doing something wrong on the install, as this mod does not work for me. If I replace the files, the game locks up after I leave Earth to go to Mars. If I use the DLC, I get the message "Unable to authorize the listed DLC> Please log in to the Alliance Network with the account used to purchase the DLC." I'm using Windows 10 on a 64 bit machine. And I also copied the contents of "For Placement in Binaries_Win32 Folder" to "...\Binaries\Win32" folder. I see "This mod requires the use of ME3 Explorer" in the instructions, but don't know how to do this. 2nd Hello, Marksman bug always ofter install the mod , with m3mm. Maybe i forget something?? i see she spam the concusiiveshot when marksman active, and i play with individualcooldown, maybe there are not compatible ?? Is it possible to install just the Marksman fix? 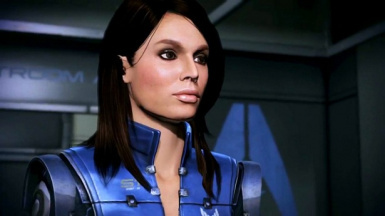 I already have several other mods that change Ashley's appearance and I don't want to overwrite them. Hi Raven, sorry for the long delay. No - the fix has to be applied to every file that uses that ability, ie all of the files that control Ashely's combat outfits. Can you do the "plug and play" version, without overwriting TOC.bin? It would be great! It's something I'm definitely looking into, so hopefully I'll have some news soon-ish! Actually a thought - this SHOULD work without doing the autotoc etc update. Try it and see how you go! Nice, thank you so much for the easy DLC mod too ! You should maybe add to the description that it is possible to further mod Ashley's textures, if the DLC mod is included in the Texplorer tree. It's not obvious for inexperienced users. "Just a thought : AVPen apparently already did a DLC mod fix here : http://me3explorer.freeforums.org/post15770.html?#p15770"
Yes, I made that back at the end of April, but forgot to add it to the Nexus (probably because I was just getting into the research and development of my Bonus Power Packs mod at the time). Ah that's the one! I knew someone else had made one but I couldn't find it, hence why I uploaded this one here. @AVPen If I download yours, will it be at risk of the whole multiplayer ban thing that comes with modding ME3? If not, could you make a DLC mod version of the James Vega N7 armor? You should be fine as it only effects single player. You're only in trouble if you modify, say, weapons and powers as they make multiplayer easier. Finally but why is this mod so big? It's the size demanded by the original Bioware files - the only way to work the mod is edit every file in which Ashley uses the Marksman ability, thus the size of the mod because they all must be included in their entirety. Nothing I can do about it, sorry. It took me a while to realize what I was doing wrong* - including a full reinstall, scattered curses, and exaggerated intakes of alcohol and tobacco, but what can I say, IT WORKED! *(confession, they say, is good for the soul: I am ashamed to report, I did not realize it would reset points allocated to Marksman to 0 in an ongoing game, and I could only gape in feral amazement at the missing icon several times in a row until a happy grappa-fueled intuition led me to check squad build. Once I restarted the whole Mars mission and reallocated things, it worked like a charm!